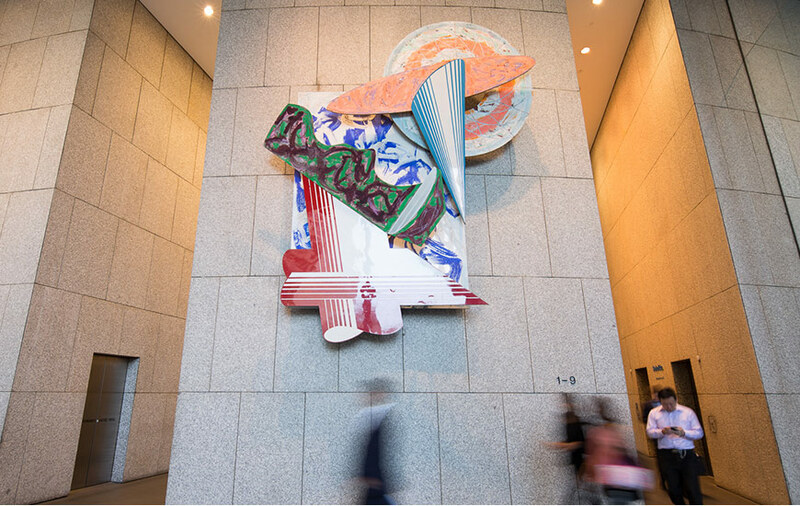 For Grosvenor Place, the architect commissioned New York artist, Frank Stella to create a series of works to enhance the lobby at Sydney’s newest modernist icon. Stella’s work sits amongst the world’s best collections, including the Guggenheim and MoMA in New York and London’s Tate Modern. 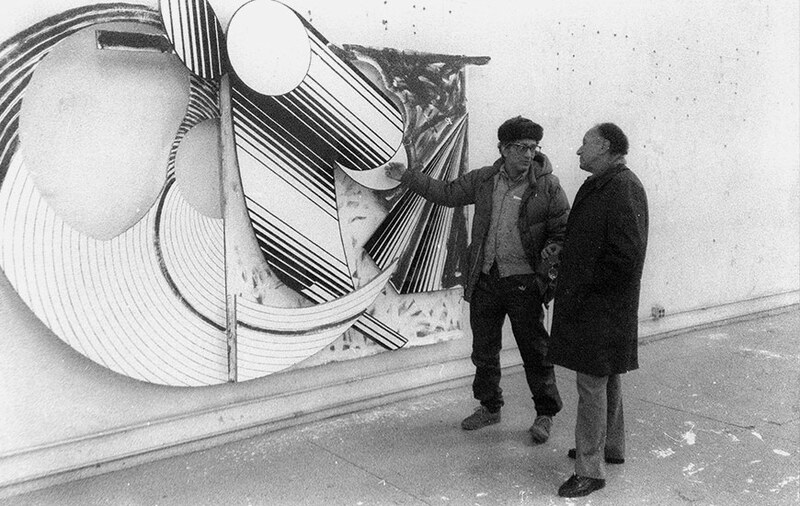 The three painting reliefs, from the artist’s ‘Cones and Pillars’ series are monumental in scale. Today, the reliefs continue to take centre stage in the lobby and represent Seidler’s belief that works of art enhance the art of work. 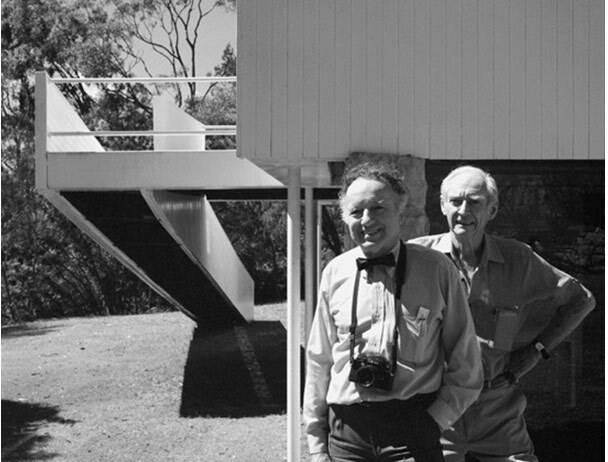 Renowned Australian photographer Max Dupain, known for his simple and direct approach to recording the architecture, landscape and beaches of Australia, was another artistic collaborator Seidler held in high esteem. The two worked together on many projects including a trip to Paris in 1988 to photograph the Australian Embassy, and the photography of Grosvenor Place. 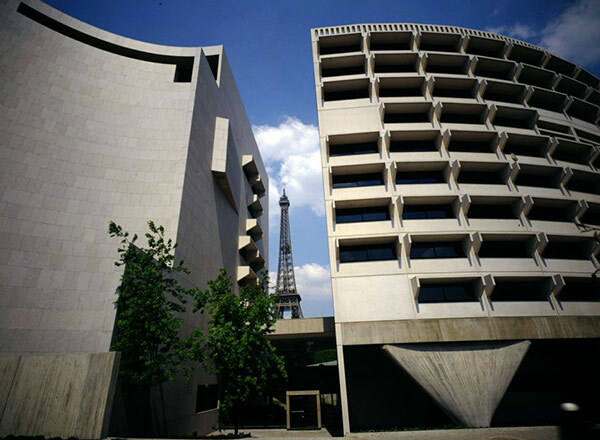 Seidler worked with Pier Luigi Nervi’s long-time associate Mario Desideri on projects including the iconic Australian Embassy in Paris, built between 1973 and 1977. The two opposing quadrant shaped buildings, just 400 metres from the Eiffel Tower and overlooking the river palisades, were again designed to take advantage of the magnificent views. The architect’s other important international works include the Hong Long Club (1981), a pressed concrete office structure with no internal columns, and the subsidised social housing project Wohnpark Neue Donau in Vienna (1998).